Pismo Beach Dining, Hotels, Real Estate, and Fun - Visit Pismo Beach, California! Pismo Beach, California, a seaside community located on the Pacific Ocean, is famous for having one of California's longest and widest stretches of beach. Pismo Beach is located along the California Central Coast in San Luis Obispo County. The area provides visitors a host of recreational activities like camping, kayaking, surfing, fishing, horseback riding and ATV riding right at the beach Pismo guests will find over 20 Pismo Beach hotels, several camping areas and there are over 40 Pismo Beach restaurants to choose from during their stay. Within a short distance of Pismo Beach, visitors can delight in Central Coast wineries, shops and outlets, championship level golf courses, several county and state parks, tennis facilities, horse back riding stables, and the majestic Hearst Castle. 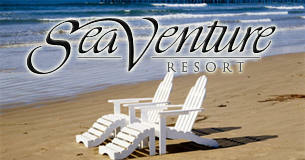 Please follow our links to listings of Pismo Beach area lodging, dining, real estate, services, and shopping. The climate in Pismo Beach is influenced by the marine environment with year-round highs between 60 to 80 and lows between the 40's and the 50's. The warmest months are August through October, characterized with coastal fog in the mornings and clearing to afternoon sunshine. Discover a Unique perspective on travel. Gabrielle has been writing Food reviews, attending wine events, and traveling while documenting these experiences on CentralCoast.com. Start Watching her travel Webisodes! Now! 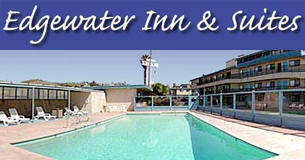 Situated right on the sand, the Sea Gypsy Motel is only two blocks from downtown and the pier. Our rooms feature studios or suites with full kitchens and balconies as well as standard bedrooms with no view. Relax in our pool and Jacuzzi! 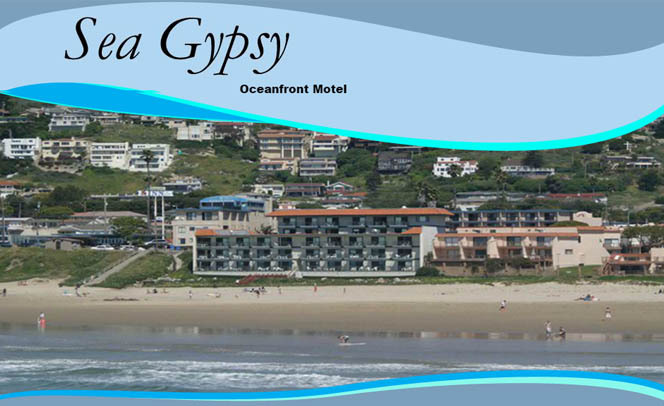 We invite you to make the Sea Gypsy your home away from home. Plan your Pismo Beach vacation! Hotels! 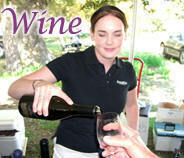 Events for Pismo Beach, Shell Beach, Avila Beach, Arroyo Grande, San Luis Obispo and the 5 cities! 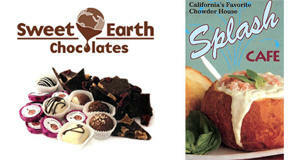 Food reviews & dining experiences for Pismo Beach! Pismo Beach is an excellent place for your "home base" during a visit to the Central Coast. Check out the Calendar of Events, the Pismo Chamber, the Photo Gallery and What to Do and See in Pismo Beach.